Winter’s Playground at the Bay! This Winter Paradise Vacation has something for everyone. ‘Venture Out’ and explore the beauty, or ‘Cozy Up’ for some indoor comfort. The choice is yours! Winter in the Ozarks is uniquely its own. 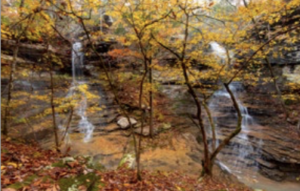 1.2 million acres of the Ozark National Forest offer towering bluffs, picturesque vistas, dense pine forests, and secluded lakes are all stitched together by lazy meandering rivers. There’s a great fabric of life to be seen – wild turkeys, soaring bald eagles, deer, squirrels, raccoon and even an opossum or two! And it’s to these lively neighbors that Fairfield Bay calls home. 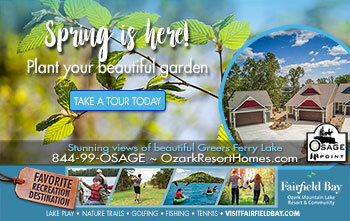 Nestled between Greers Ferry Lake and the Ozark National Forest, Fairfield Bay is an incredible destination for wintertime vacationing or touring. Whether you’re interested in fishing, golfing, classic cars or art, The Bay has something for you! Fairfield Bay Conference & Visitor Center is your home base! Recently renovated, the Center is a conference, performing, and visual arts center all in one. Pick up area information and maps, and get acquainted. Cozy up to the welcoming hearth with a drink or explore the views outside on the expansive deck. Ask if “Our Towne Productions” has a theater show during your visit. If you aren’t in town for one of the many festivals or celebrations we bet you’ll want to return. As tough as it may be, tear yourself away from the beautiful Center and head toward your next adventure in Fairfield Bay. 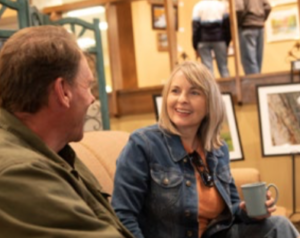 Cozy up in the Conference and Visitor Center, where you’ll meet a few of the local folks who will warm your heart as much as the blazing hearth. 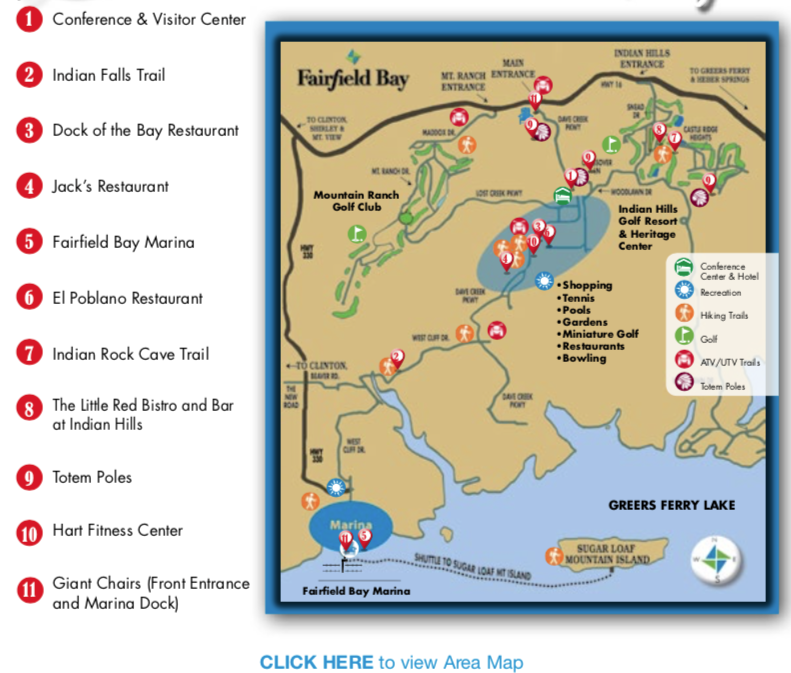 Did you know that Fairfield Bay is becoming known for its new Hike and Bike trails? More than 30 miles of them! So today, you’re going to get out and see one particularly beautiful piece. Stretch your legs with some fresh air on this short hike on Indian Falls Trail. See the photo below for a true waterfall experience. At just under a mile in length, this moderate trail is a beautiful path along the rim of Wild Horse Canyon. With two rock formations and two waterfalls, it’s a bright way to start your day. The trail ends at Indian Falls, the larger of the two. ‘Cozy Up’ Option: The Library 2p.m. The Fairfield Bay Library welcomes you to experience a relaxed afternoon. Check out a book, or select an audio book or DVD from their impressive selection. Enjoy the library’s free internet to check your emails. Local volunteers are ready to chat to chat about the area’s history and give you an insider’s view of the Bay…you might just get a tip for a “secret” adventure! Before you leave, check out the gently used paperback sale; proceeds benefit the library which is an independent non-profit organization that serves the community. 3. Dinner Bells 7 p.m.
Dock of the Bay offers great fresh made pizza and sandwiches with ice cold beer to create a relaxing end to your first day in the Bay. Live music and great company can always be found. Love hiking and discovering waterfalls? How about two or three? 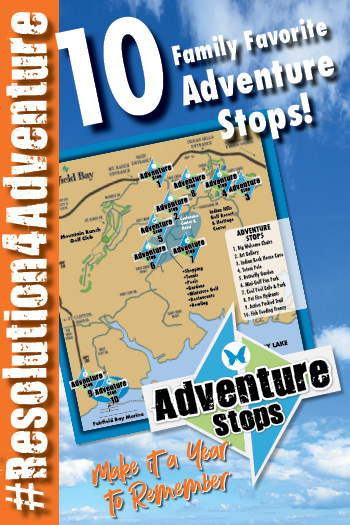 Come exploring in the bay, where you can hike more than 30 miles of marked trails. Get to know the trails better. 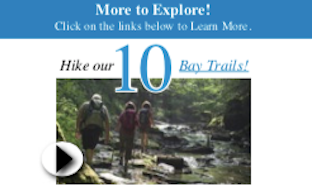 Visit our website and trail maps. Today, the pristine waters beckon. Wake Up! There’s a full day of adventure waiting on Greers Ferry Lake. This sparkling masterpiece stretches along 300 miles of shoreline and is nationally recognized as one of the cleanest, most beautiful lakes in the country. What are you waiting for? Jump up, get out and get going! 4. Coffee: Where the Locals Go 8 a.m. The go-to spot for a cup of coffee and home-cooked breakfast is a local favorite – Jack’s. Fresh made breakfast sandwiches are available for a quick in & out, but stay a bit and visit with the locals. You may meet one of the Bay’s fascinating characters over that cup of coffee. 5. 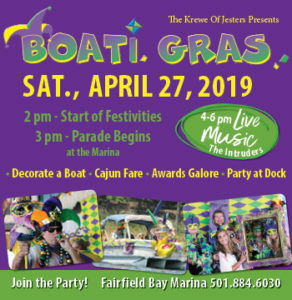 ‘Venture Out’ Option: Head to the Marina! 9 a.m. Even in winter months, the Fairfield Bay Marina offers more than you might think. 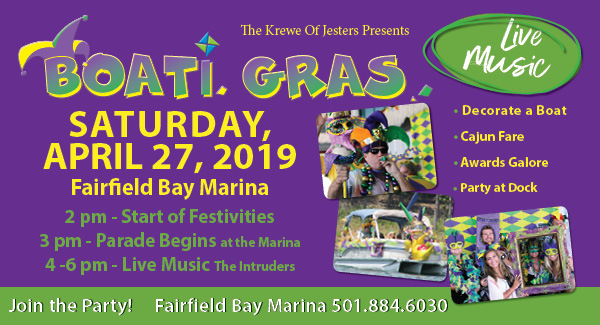 Call ahead to find out about a cruise on the Belle of the Bay. You can sit comfortably inside this 30-passenger, fully-enclosed boat or venture out on the deck with your binoculars to see the Ozarks from a new perspective. Look out for the beautiful soaring bald eagles! 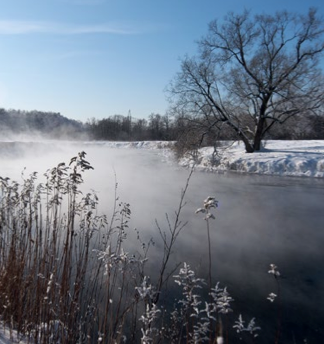 Try winter fishing on your own or with a guide. Even in January and February there are large fish moving about. Greers Ferry Lake is known for its large Walleye – the largest of which was caught in 1982 and weighed a whopping 22 lbs.11 oz. Go ahead and top that! Make plans to drop a line in the water and ask the marina what’s biting today. than 500 species of plants. ‘Cozy Up’ Option: 9 a.m.
Fairfield Bay is proud of the many talented residents it has, and many of their works can be seen at the Fairfield Bay Conference & Visitor Center. In addition to its confer- ence and meeting spaces, the center is the home for the North Central Arkansas Foundation for Arts & Education. Visit their site before you go to get the latest list of exhibits and artists on display. Most art pieces are for sale. Plus, the NCAFAE’s downloadable calendar includes a list of free musical performances at the center. Want to create your own art? The Comunity Education Center hosts several art and jewelry making classes. Call 501-884-4440 to check the schedules for that week. If you’re at the Conference Center, try lunch at nearby El Poblano. This family-owned favorite is a stone’s throw from the front doors of the Center. Try to save room for the homemade flan for dessert! Indian Rock House – nestled under a hillside at Indian Hills Golf Resort, this natural sandstone grotto is more than 1000 years old. 7. 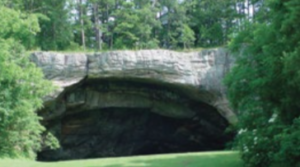 Venture Out’ Option: A Living Cave & Ozark Trail 1:30 p.m.
There’s pockets of incredible history in this outdoor paradise. One of the most impressive and memorable places is Indian Rock House Cave. Did you know that in 1542, Hernando de Soto visited with Native Americans right here during his historic trek to find the Fountain of Youth? To see this incredible historical site, let’s begin at the History Complex. Your tour begins at the Log Cabin and Museum for a brief glimpse into the old-charm 1880s. From there, take the Indian Rock Trail. The trail gives you grand views of the golf course and takes you through trees, boulders, bluffs, as you make your way to the Indian Rock House. This natural structure sheltered people as far back as 1000 BC and served as a tribal meeting place. 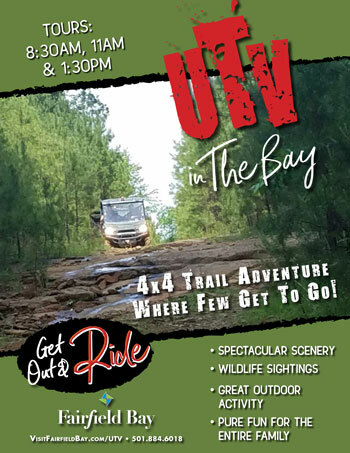 Try a little off road adventure on our UTV trails wandering through 90 miles of trails. See exciting mountain ridges, gullies, water paths and creek beds. You can bring your own or take a guided tour. We offer tours 7 days a week. Call the golf pro shop to book your tour today, 501-884-6018. Visit our website for more information. ‘Cozy Up’ Option: 1:30 p.m.
Hope you’ve picked up some post cards depicting the wonder and beauty of the Bay during your visit. You’ll find them in the Conference Center gift shop. While there cozy up by the fire as you write a quick note to send home to friends and family. 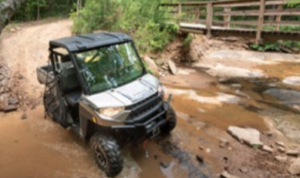 Try a little off road adventures on our All Terrain Vehicles (ATV) trails wandering through miles and miles of dirt back roads and trails. Exciting mountains ridges, gullies, water paths and creek beds. Bring your own, or take a guided tour. Open 7 days a week. 8. Dinner & Relaxation 7 p.m.
On Friday and Saturday evening, Little Red Bistro and Bar in Indian Hills. Featuring locally sourced produce from regional farmers, the restaurant offers Italian and American specialties. Look for daily entree and dessert specials. Specialty coffees are a hit on cool winter evenings to wrap up your wonderful meal. Sleep in today? Or get up to venture out and begin your day with a bit of art history. And while you’re learning about Fairfield Bay’s past, rub elbows with a few locals. 9. Venture Out’ Option: Hike & History 9 a.m.
Delve into the Bay’s history by visiting the city’s three totem poles, a fun, “must-see” in the Bay. The poles were carved by the Woodcarvers Unlimited Group and really are representative of Fairfield Bay’s history. 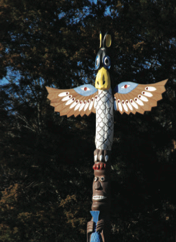 Two poles are twenty-feet tall, carved from red cedar – one near the Log Cabin Museum and the other on Dave Creek Parkway. These depict the history of the nation and Fairfield Bay. The third pole measures thirty feet tall and is located at the entrance to Fairfield Bay in the HO Wa Park; this pole tracks Fairfield Bay’s history from ancient times to mod- ern, depicted by the bald eagle, a regular site in the area. 10. Morning Stretch 10 a.m.
Fairfield Bay boasts many opportunities for lifelong wellness, one of which is the Hart Fitness Center in the heart of town. Weight and fitness machines, an Olympic-size swimming pool, indoor track, basketball court, hot-tub & sauna are all on site. Fitness classes & Massage Therapy are also offered. 11. Lunch & Farewell 1 p.m. Treat yourself to a bite at The Little Red Bistro and Bar. Warm up with a delicious soup or try the hot plate special. Enjoy lunch inside, overlooking the bay’s rolling hills and reminisce about the great adventures you’ve had. As you head home, weather permitting, stop for a picture in the Bay’s famous Giant Chair. Vow to return soon, for an extended stay, perhaps during one of The Bay’s signature festivals, such as the spring Bloomin’Blues & BBQ in the Bay! Nestled amongst the Ozark Mountains and situated on the banks of the 40,000 acre lake, Fair eld Bay – Ozark Mountain Lake Resort & Community – is located 75 miles north of Little Rock. If the stunning mountain scenery, championship golf course, lake, marina, arts center, varied events AND friendly residents don’t wow you, the value will. The mild climate makes Fair eld Bay the ideal location for lasting impressions year round. Join us! 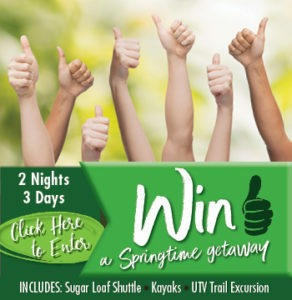 We’re sure that Fair eld Bay will become your family’s premier recreation destination!